The following group types are not accepted by this hostel: Holiday with Friends, Junior / Primary School, Cultural Group If you have misrepresented the type of group you are booking for, your booking may be cancelled by the hostel." Hello! Flying into Lima? Need a place to stay? Great! Thats were we come in! 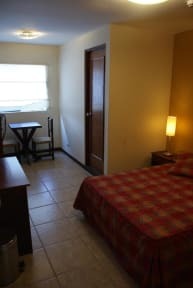 We offer you a pleasant stay in our clean, secure and fun hostels. You will find not only an excellent service, but a very friendly and fun environment. Come and enjoy Lima, City of the kings, the only capital city located on the ocean-side in South America! We know being a tourist can be difficult. We don't want you to get lost or ripped off! 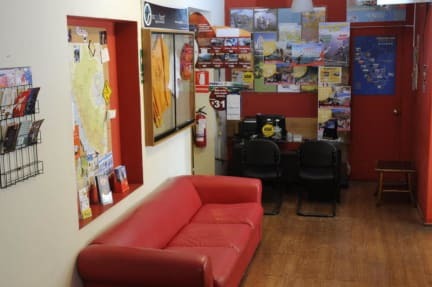 We offer travel advice, information, what to see, how much to pay, where to go in Peru and South America. We speak English and Spanish (Italian, Portuguese, German and Japanese understood!) Of course, all this is offered with a friendly smile. We offer hot water 24 hours a day, cable T.V., book exchange, a secure place to keep valuables, cooking facilities, free local telephone calls and if this isn't enough, discount in many of the restaurants, bars, ice cream parlors, and artisan markets, nearby. In just a few steps you will find the best restaurants, clubs, shopping malls, cinemas, handicrafts, art galleries, and the best cultural and nightlife in Lima. We are just one block from the public transportation to all parts of Lima: downtown Lima, Museums and to Barranco, our Bohemian district! Precisa melhorar as condições dos banheiros. There is a bedroom in this hostel that was rented for me and my friends as a bedroom with 5 beds and 1 bathroon. Well, but that it is not like that. Actually, it's a weirdy bedroon of 5 beds that has another bedroon inside with 8 beds. So it's a bedroon with 13 beds and 1 bathroon. On the other hand, it is well located and the breakfast is really good.